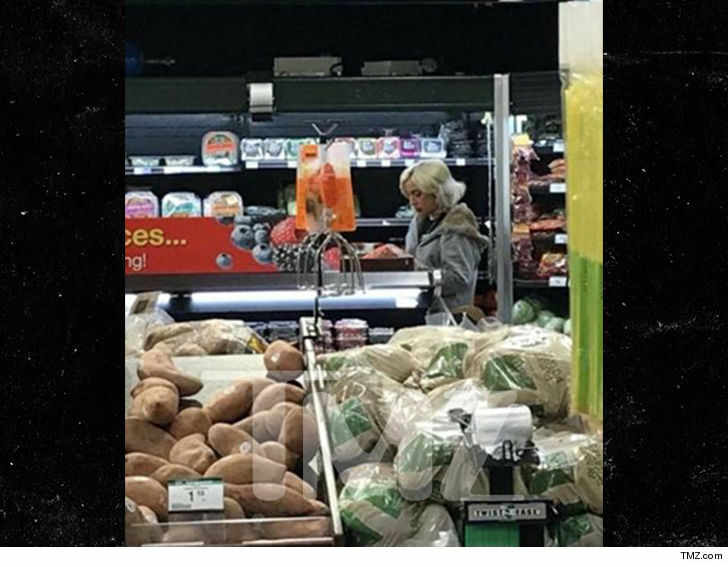 Lady Gaga joined in the Thanksgiving scramble Wednesday, shopping up a storm in West Virginia. Gaga’s fam lives in West VA., so it seems she’s pitching in for Thursday’s feast. The pic was shot at a Kroger supermarket and she was all over the produce section. The hoodie may have done the trick, because we’re told no one noticed her. Seems odd with the platinum blond hair that no one connected the dots, but they didn’t. Gaga’s grandma lives in West VA, and that’s where her mom is from as well.